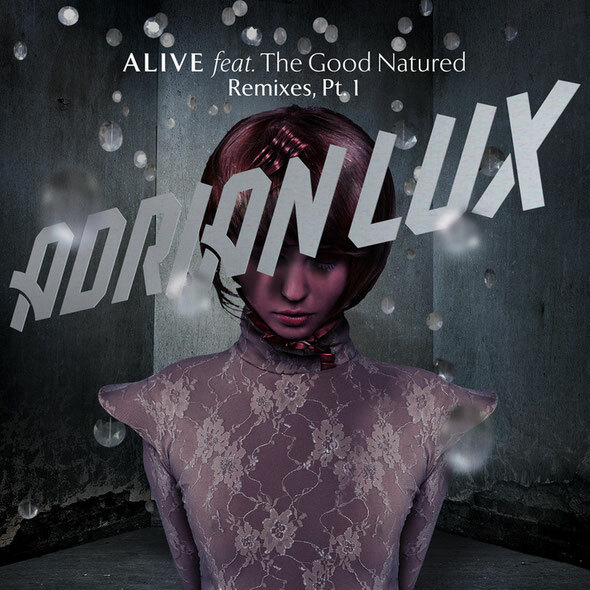 Adrian Lux is back with the first set of remixes for his latest smash ‘Alive’ featuring English electro pop band The Good Natured. While Adrian’s original version of ‘Alive’ is a marriage of pop and the dance floor, these fresh new remixes are all about those peak time moments in a club. Albin Myers rides out the beat, chops up Sarah McIntosh’s vocals and rubs out some blinding electro laser beams while Basto adds an uplifting synthy touch to his original remix and adds an extra fistful of drums to the dub. Blende delivers an industrial vibe that’s simply menacing, while Mysto & Pizzi use only the original vocal and create their own entirely new (and massive) interpretation of ‘Alive’. With smash original productions ‘Teenage Crime’, ‘Strawberry’, ‘Can’t Sleep’ and ‘Boy’, and recent remix work for the likes of Britney Spears, Natalia Kills, Roger Sanchez, the TRON soundtrack, Miami Horror and PNAU already under his belt, Swedish based Grammy nominated (2011) Adrian Lux is one of the hottest young producers on the scene. Raised in Stockholm by a former punk rocker and a fashion photographer / filmmaker, Adrian Lux’s professional career in music began as a teenage prodigy, earning fame as one of the city’s leading hip-hop & reggae DJs before transitioning to the head rush house and cutting-edge pop that seems to only come from Sweden. With one foot in the suburb where he grew up and the other in the pulsating Stockholm nightlife, Adrian Lux meshes his worlds through music. His sounds are often described both as minimal and grandiose. His music built its foundation on the dance floor, with a teenage whimsy attached to it.